The State Arboretum of Virginia is located in Clarke County, Virginia in the Northern Shenandoah Valley. Originally the property was a 900 acre estate that was established by Colonel Tuley in 1810 and called the Tuleyries. This property was purchased by Mr. Graham Blandy in 1905. Upon his death in 1926, 700 acres of the Tuleyries estate was bequeathed to the University of Virginia. This parcel included the Quarters, an 1830's brick structure once used as servant quarters. 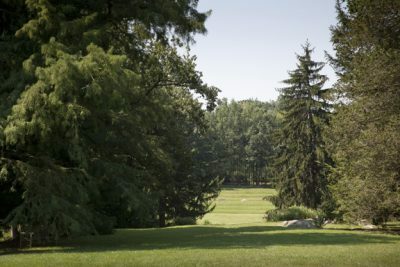 Upon acquiring the property, the University of Virginia hired Dr. Orland E. White, Curator of Plants at the Brooklyn Botanic Garden, to establish a biological research field station which would be called Blandy Experimental Farm. Dr. White began planting the Arboretum in 1929 and organized it according to the Engler-Prantl system of plant classification. The plants came from all over the world and were used in research. Dr. White kept extensive written and photographic documentation of the plants he included in the Arboretum, which still exist today. 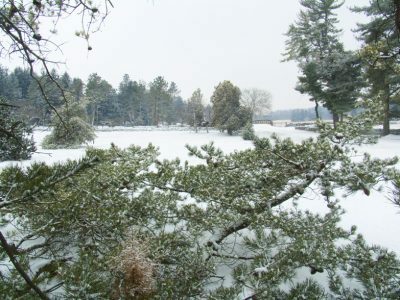 Upon his retirement in 1955, the Arboretum was named the Orland E. White Arboretum in his honor. In 1986, the Virginia General Assembly designated the Arboretum to be the State Arboretum of Virginia. The property was placed on the National Register of Historic Places in 1992 under the theme of agriculture as it relates to horticulture and education for the time period of 1926 - 1939. The Arboretum currently has 6,435 shrub and tree specimens comprising 1,149 taxa. 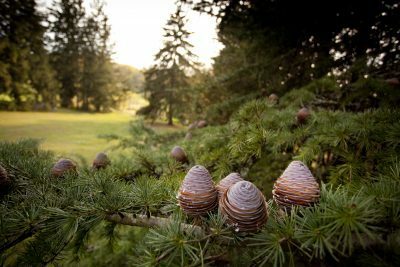 The conifer collection is the largest target plant group, with 1,635 specimens in 243 taxa. The largest single plant collection within the gymnosperms is the ginkgo, with 324 specimens. The Arboretum serves as a research collection for its parent institution (the University of Virginia's Blandy Experimental Farm), an educational tool for outreach and K-12 programs, and as a large display garden for the public. Recent collection expansions have focused and will continue to focus of regional and national plant species currently lacking in the collection and additions of greatest interest to our mission of environmental research and education.